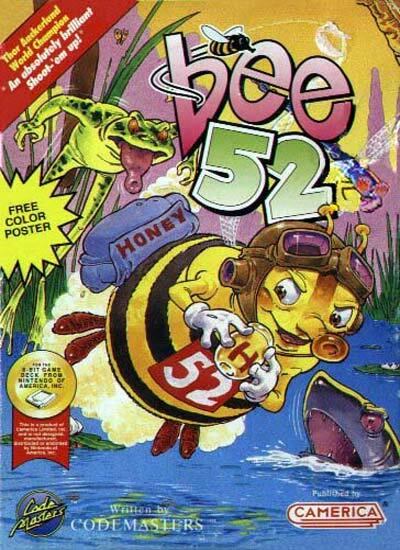 The player controls Bee 52, a honeybee with large eyes and a fly-like sucker for a mouth, through which it can spit projectiles at enemies. The game is played through 12 levels, the first four in a backyard, the next four in a swamp, and the last four inside a house. There are traps and enemies added for each level, from ants, grasshoppers, and even dragonflies and "venus flytraps" in the later levels. The player must find and collect from many flowers scattered all over the sidescrolling level and return to the hive after three flowers are visited to add honey to the jar. The level is complete when the jar is full, in the case of levels 3-12, this requires every flower to be visited.